In February, Darryl Worley and his wife, Kimberly, traveled to Fiji for the week-long Tunes in the Tropics songwriter event. While they were there, the island nation was rocked by Tropical Cyclone Winston, the most powerful storm ever recorded in the Southern Hemisphere and the equivalent of a Category 5 hurricane. Darryl and his wife weathered the storm safely, but the wind and floods left 44 dead, tens of thousands without homes and $485 million in estimated damage. 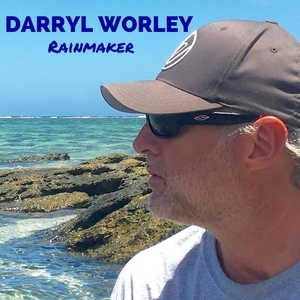 After his return home, Worley wrote and recorded a new song, "Rainmaker," inspired by his experiences. From funds generated by the single’s downloads, donations will be made to the Cyclone Winston Relief Fund to support Fiji’s recovery. "This storm has changed the island nation of Fiji forever… it also changed our lives forever. These are defining moments in our lives and, prayerfully, we take what we should from them. I believe that I live a fuller life because of my experiences. This experience has reminded me of why we are put here; to do all we can to help those less fortunate than we are and to live every moment like it is a precious gift, because it is. This event brought a whole new meaning to ‘count your blessings.’"